Context and social network information is very valuable for building accurate recommendation system. However, traditional recommendation systems could not combine different types of such information effectively to further improve the quality of recommendation. Therefore, we propose the context-aware recommendation algorithm based on social network SCRA (Social Network Based Context-Aware Recommendation Algorithm). For different types of context, we partition the rating matrix of initial user item by introducing random decision tree. In the leaf node of the tree, matrix factorization is used. Besides, we incorporate social network information by introducing Pearson Correlation Coefficient which contains context information to measure the similarity of users. To predict the rating of users for an item, we solve the objective function. Real datasets based experiments show that SCRA is better than the traditional recommendation algorithm in terms of precision. Zhong, E.H., Fan, W. and Yang, Q. (2012) Contextual collaborative filtering via hierarchical matrix factorization. Proceedings of the SIAM International Conference on Data Mining, Anaheim, 26-28 April 2012, 744-755. Liu, F.K. and Lee, H.J. (2010) Use of social network information to enhance collaborative filtering performance. Expert Systems with Applications, 37, 4772-4778. 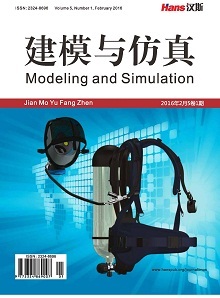 Ma, H., Zhou, D., Liu, C., Lyu, M.R. and King, I. (2011) Recommender systems with social regularization. Proceedings of the 4th ACM International Conference on Web Search and Data Mining, Hong Kong, 9-12 February 2011, 287- 296. 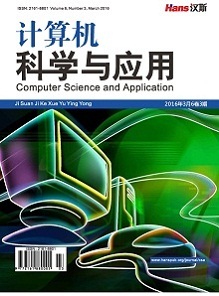 Jiang, M., Cui, P., Liu, R., Yang, Q., Wang, F., Zhu, W. and Yang, S. (2012) Social contextual recommendation. Proceedings of the 21st ACM International Conference on Information and Knowledge Management, Maui, 29 October-2 November 2012, 45-54. 王立才, 孟祥武, 张玉洁 (2012) 上下文感知推荐系统. 软件学报, 1, 1-20. 李蕊, 李仁发 (2007) 上下文感知计算及系统框架综述. 计算机研究与发展, 44, 269-276. Adomavicius, G. and Tuzhilin, A. (2011) Context-aware recommender systems. In: Ricci, F., Rokach, L., Shapira, B. and Kantor, P.B., Eds., Recommender systems handbook, Springer, New York, 217-253. Karatzoglou, A., Amatriain, X., Baltrunas, L. and Oliver, N. (2010) Multiverse recommendation: N-dimensional tensor factorization for context-aware collaborative filtering. Proceedings of the 4th ACM Conference on Recommender Systems, Barcelona, 26-30 September 2010, 79-86. Liu, X. and Aberer, K. (2013) SoCo: A social network aided con-text-aware recommender system. Proceedings of the 22nd International Conference on World Wide Web, 13-17 May 2013, Rio de Janeiro, 781-802. Koren, Y., Bell, R. and Volinsky, C. (2009) Matrix factorization techniques for recommender systems. Computer, 42, 30-37. Buchin, M., Dodge, S. and Speckmann, B. (2012) Context-aware similarity of trajectories. In: Hutchison, D., Kanade, T. and Kanade, T., Eds., Geographic Information Science, Volume 7478 of Lecture Notes in Computer Science, Springer, Berlin, 43-56.